Reg $29. 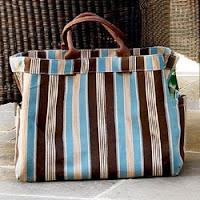 Fully lined, with a zip pocket, and tres cheerful ticking stripes. From Wisteria.